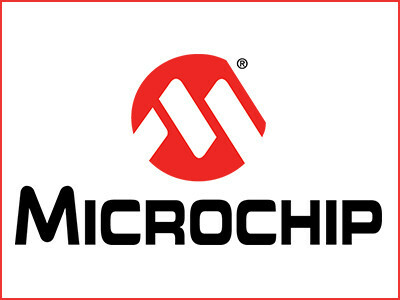 Microchip announces a new family of dsPIC33CK 16-bit Digital Signal Controllers (DSC) which provides system designers with Digital Signal Processing (DSP) power combined with the design simplicity of a microcontroller (MCU). Designed to deliver faster deterministic performance in time-critical control applications, the dsPIC33CK have expanded context selected registers to reduce interrupt latency and new, faster instruction execution to accelerate Digital Signal Processor (DSP) routines. The dsPIC33CK single-core family complements the recently announced dsPIC33CH dual-core family based on the same core. 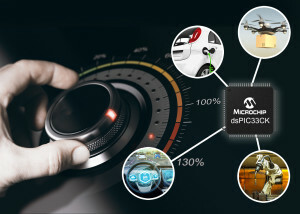 With 100 MIPS performance, the core of the dsPIC33CK delivers almost double the performance of previous single-core dsPIC® DSCs, making it ideally suited for motor control, digital power and other applications requiring sophisticated algorithms such as automotive sensors and industrial automation. It has been designed specifically for controlling multiple sensorless, brushless motors running field-oriented control algorithms and power factor correction. The dsPIC33CK family features a CAN-FD communication bus to support new automotive communication standards.